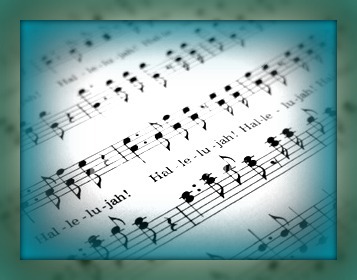 Hallelujah has long been a song of praise and prayer. It is not affiliated with any religious sect or spiritual belief; yet, to the one that sings it and the one that hears it, it uplifts the soul, lightens the heart and immerses you in the presence of God. The origins of this symbolic sound are more ancient than history itself. It is born from the eternal yearnings of the soul and the desire to express the presence of God. It is the foundation of all language. It is the intuitive song of the Ohm and is the sister to the song of the universe. It represents the essence of expression and the complete statement of existence. It is a song of love from the lover to the beloved. Born of the sacred Ohm, the sound, the song and the name of God. It is the song of existence. Let your life be full of song. Let your soul sing the presence of God. By whatever nature you believe God to be, one thing holds true: that by the very essence of your soul it sings with the creation. Hallelujah. Ohm. Feel its presence whisper in your heart. Feel its melody embrace your soul and its voice speak wisdom to your mind.